Be the first to register for Avant Townhomes at QUAY2, the perfect choice for your new home. The QUAY2 masterplan includes six strategically located parcels of land reserved for the creation of townhome precincts. These precincts contain richly detailed terrace style homes and low-rise apartments. The homes within these precincts have been created by Avant Townhomes, a wholly owned subsidiary of Intrapac Property, the developer of the QUAY2 estate. Avant Townhomes are offered as a simple, single contract requiring only a 10% deposit with the balance of the price payable, when the home is ready to move into. The price includes land, building design and construction, landscaping, and numerous quality specification items such as double-glazed windows and solar panels. 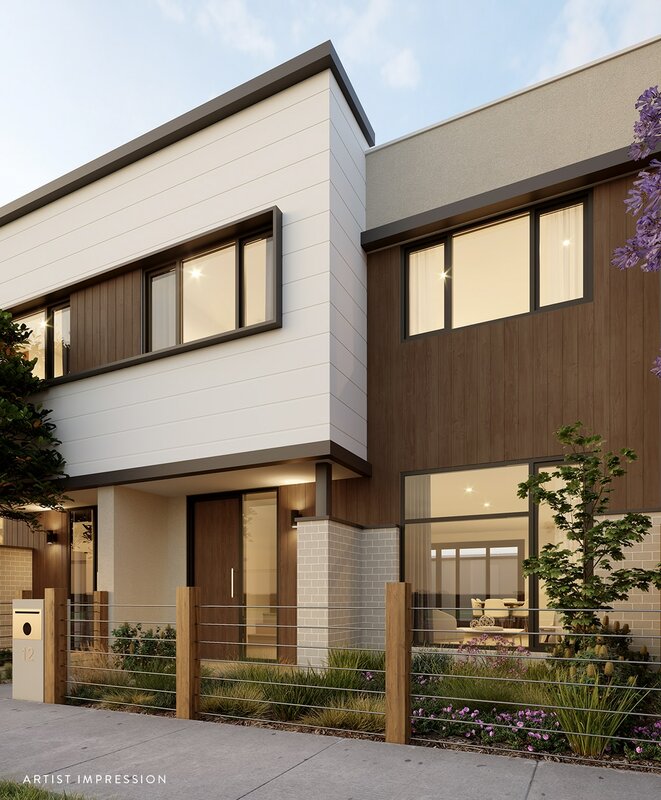 The Avant Townhomes that have been created for QUAY2 are suited to the relaxed Torquay beach lifestyle and a range of lifestyles and life stages, they include 3 bedroom homes with 2 car garages and a selection of smaller dwellings. Avant Townhomes at QUAY2 represent an ideal opportunity to enjoy premium coastal living in Torquay either as a holiday destination or lifestyle choice. Go to Avant Townhomes to find out more about the homes currently on offer or explore more about the amazing QUAY2 estate within this website. *Avant Townhomes specialises in the design and construction of high quality, residential neighbourhoods and is a wholly owned subsidiary of Intrapac Property Pty Ltd, the developer of QUAY2.